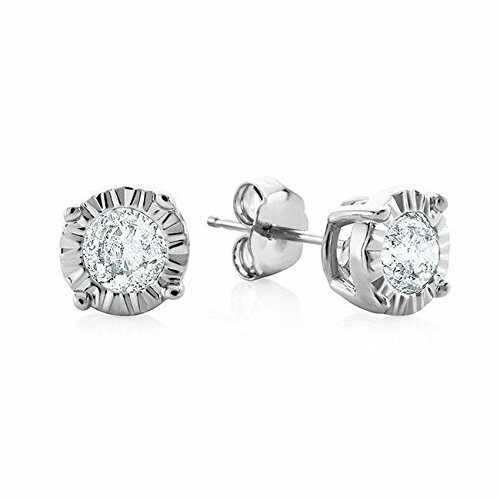 14KT White Gold 0.17ct Miracle Pushback Solitaire Earrings with G-H color and I2 clarity diamonds. Made in USA with Very Good - Excellent cut, conflict-free, natural diamonds accurately graded and described as per GIA's strict grading standards. Our gold is responsibly sourced with the majority of it made from recycled gold.